A Conversation Under the Moonlight About The Movie “Moonlight”, an inside look at the movie "Moonlight" directed by Barry Jenkins. Find some peace in the midst of chaos with this "guide to having a good day"! Kanye West Ends Los Angeles Concert Abruptly: What Happened? Lil Wayne told Linsey Davis that he doesn’t feel connected to Black Lives Matter. All colors carry electromagnetic energy. It is believed that our brains and our endocrine systems absorb this energy from colors and inspire us to feel or act in certain ways (although it is not exactly clear how this happens). This effect is illustrated by our differing responses to warm and cool colors. 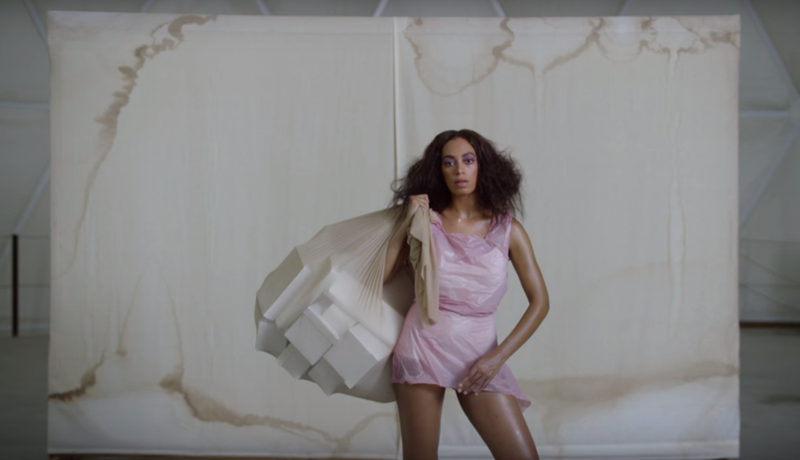 If you've been following the stream of black girl magic that has been happening throughout the year of 2016, then I'm sure you are aware that Solange has dropped a new album, "A Seat at the Table". It's been four long years!!! 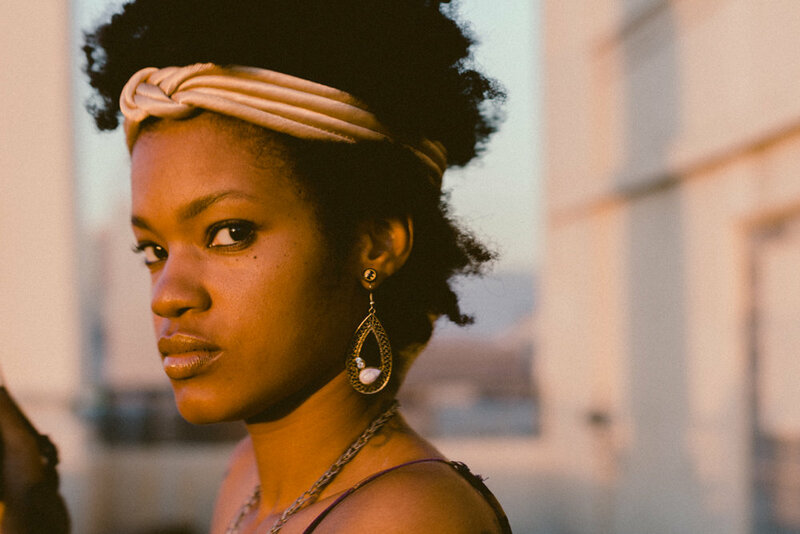 One day after she dropped the album, she graces us with two soulful visuals from the project "Cranes in the Sky" and "Don't Touch My Hair" ft. Sampha. Both of these visuals were directed by herself and her husband Alan Ferguson. After watching both of these videos, I was automatically drawn to the choice of hues and the tones that were used. I felt so at peace and calm, and happy, and joyful, and beautiful, and all of these other emotions all at once just from this visual experience. Many cool/warm tones are used and left me feeling relaxed yet stimulated and inspired to create! The electromagnetic energies of different colors affect both our bodies and our minds. Both of these videos start off with calming/relaxing colors/tones. 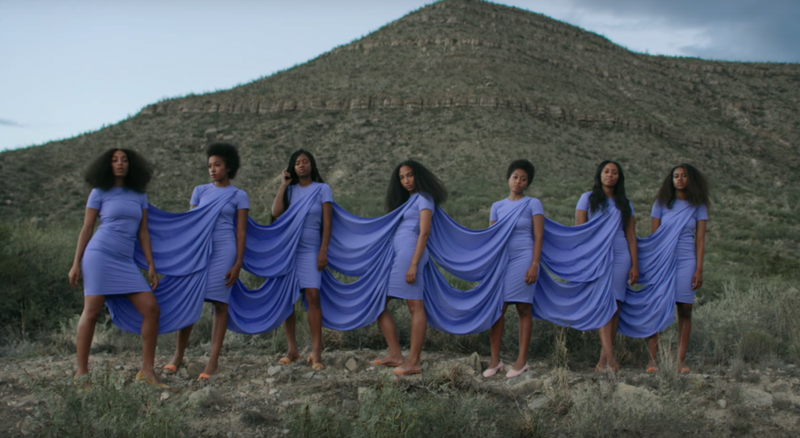 For example, the first few frames of "Cranes in the Sky" show Solange in a light pink material, surrounded by concrete, which is light grey. Both of these tinted colors have significance and can play apart in making us feel loved, calm and balanced. 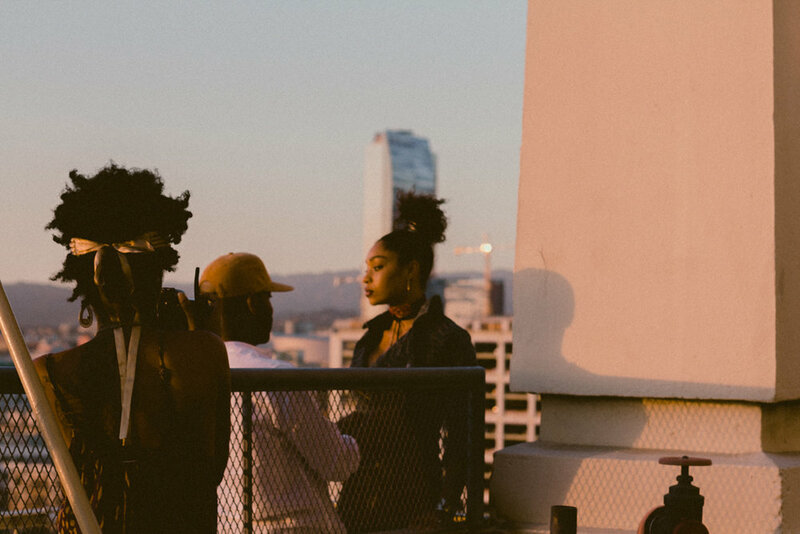 Bold colors used in the video "Don't Touch My Hair" such as the color royal blue gave me a sense of royalty and confidence. 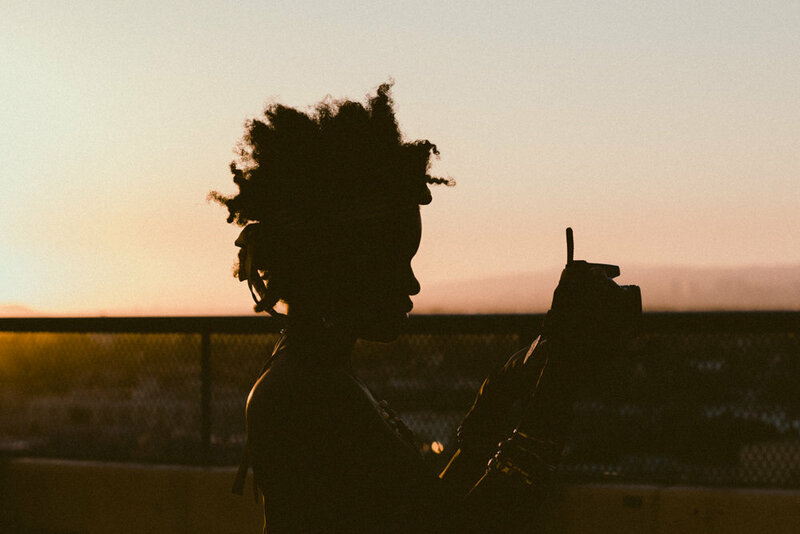 A feeling of being regal at times when women of color may feel like they don't matter, is so needed! Brief moments of peace come over me as I watch both videos and see how the browns, beige, nudes, & umber hues that were used offered a relaxing/pleasant feeling. Overall these visuals made me feel so warm inside. Color theory is a tool used in so many mediums of art and to appreciate color is to appreciate the things that make us unique. Solange has always been an aesthetically pleasing artist, but more recently she has shown so much of what she has to offer to us. More than a singer-song writer, this album along with the visuals have inspired me and many others to create more, and not be afraid of where you came from and glorifying your culture. You can watch both videos below. Also, check out more from Solange here, and here.